The most common sound in the southern ocean during the Austral winter is a bizarre repetitive quacking sound – recorded by submariners since the 1960’s and nick-named “bio-duck”. Finally the mystery has been solved and the Minke Whale is the culprit! An Aussie-American collaboration attached sensors to whales and tracked their call sounds over an extended period. 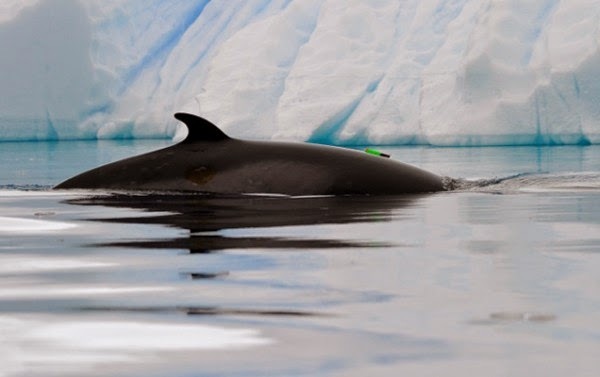 Their results, published this week in the journal Biology Letters, unequivocally identified the Minke as the source of the sounds, although as yet they have no idea what behavioural purpose they serve – maybe they have evolved “decoy” duck sounds to put off pesky Japanese whalers in the southern ocean!! !